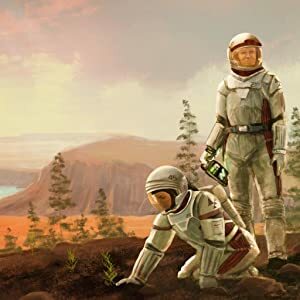 Terraforming Mars Board Game, yes the one that is “BoardGameGeek’s definitive top 100 list of the world’s best board games” is on sale for less than $40 right now! 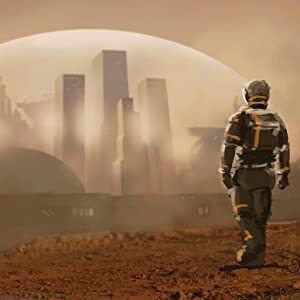 As terraforming progresses, more and more people will immigrate from Earth to live on the Red Planet. Experience ‘Science Future’ as you compete to be the most successful corporation on Mars. 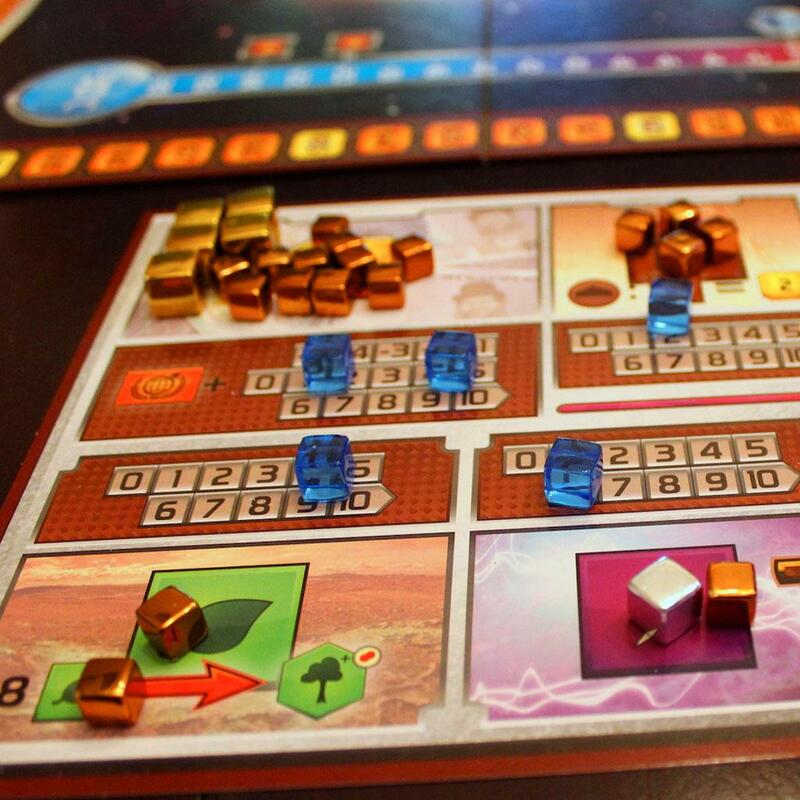 In Terraforming Mars, you play a corporation and work together in the terraforming process, but compete for getting victory points. Victory Points are awarded not only for your contribution to the terraforming, but also for advancing human infrastructure throughout the solar system, and doing other commendable things. 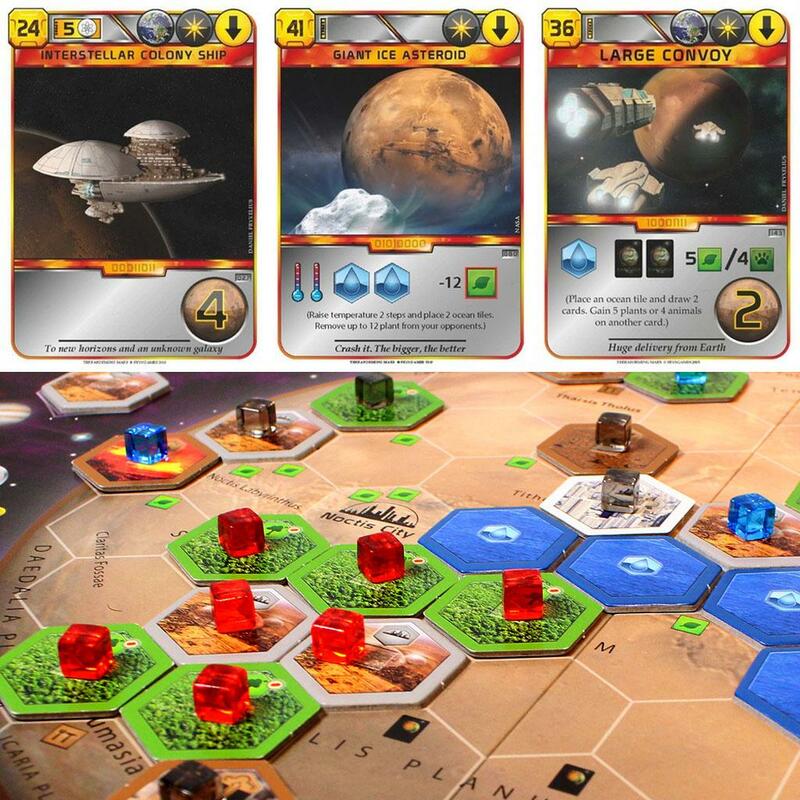 An accurate map of marsThe game board is an accurate map of the Tharsis region of Mars, including Valles Marineris, 3 of the 4 great volcanos, and the Viking site where the first man-made lander touched down. Player boards and markers5 Player Boards where you keep track of production and money. Over 400 markers! 200 Player Markers (transparent plastic cubes), 200 Resource Markers (metallic plastic cubes), and 3 Game Board Markers (white plastic cubes). Cards and moreOver 230 cards representing different corporations and projects. 80 tiles that you place on the board to make oceans, forests, cities and more! And of course, a rulebook.